The RCExplorer Tricopter V2.5 appears a strong option. Unfortunately, when I was ordering bits the motors they recommend were not in stock. Not wanting to munge my motor/esc/batter mix, risk being under/over powered or otherwise messing up, I decided to skip this design. 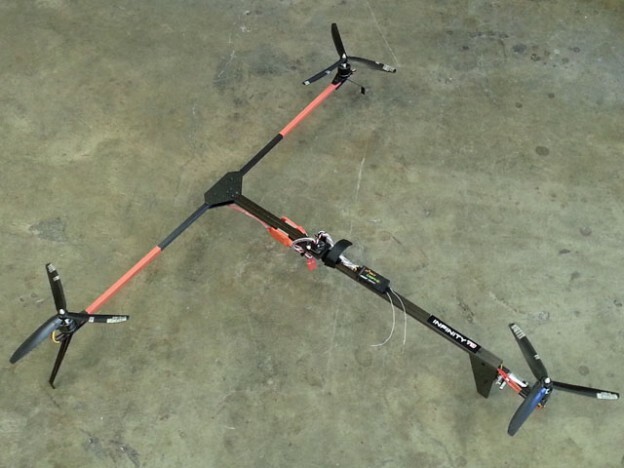 Upon further research the INFINITY T3 – DIY Carbon Fibre Tricopter looks like a great option. It appears to have excellent 12-15 minutes of battery life and looks to be an excellent platform for putting a GoPro on. The official design is made primarily out of carbon fiber. My initial go of it will be out of wood to reduce expense when I inevitably crash it. Once my flying skills improve I’ll upgrade the frame. The T shape appears to provide better visual orientation than the Y designs which is a plus.